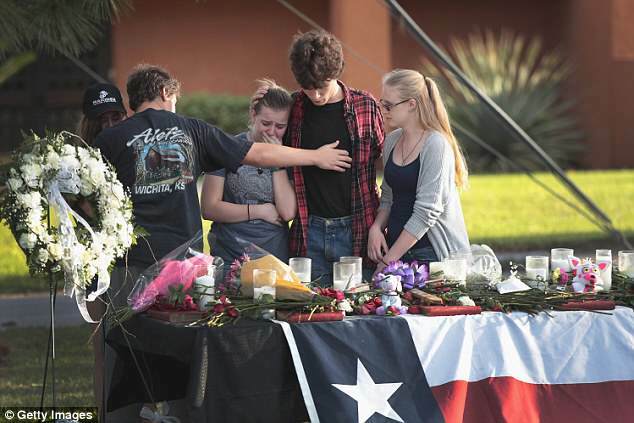 One of the teen girls killed in the Texas school shooting rejected and publicly humiliated the accused shooter, the girl's mother has said. 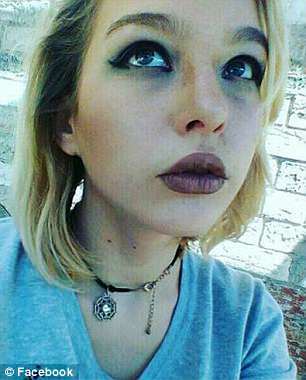 Shana Fisher, who turned 16 just days before she died in the attack, had been fending off advances from Dimitrios Pagourtzis for months, the teen girl's mother Sadie Rodriguez said on Saturday. 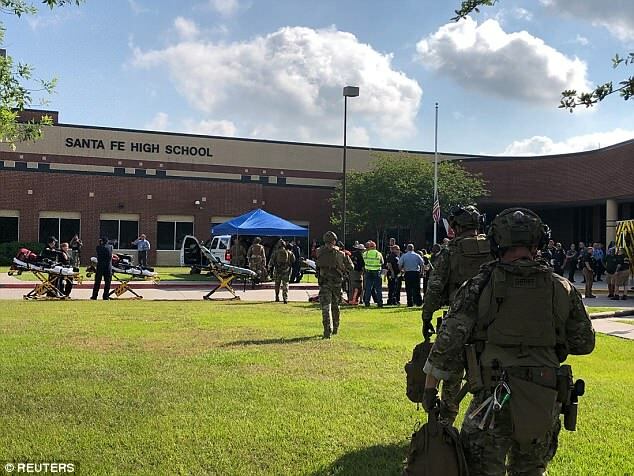 It is the first indication of a motive in the Friday attack on Santa Fe High School, which killed ten, though the theory has yet to be confirmed by either prosecutors or lawyers for 17-year-old Pagourtzis. Pagourtzis, whose family describes him as 'quiet' and 'sweet', continued to become more aggressive with Shana until finally she rejected him publicly in class, the mother said. The alleged romantic rejection took place just a week before the attack. Nicholas Poehl, a lawyer for the Pagourtzis's family, said he hadn't heard about any such interaction between Pagourtzis and any of the victims and therefore couldn't comment. He cautioned that he'd spent much of the day disputing false rumors about the teen's personal life. 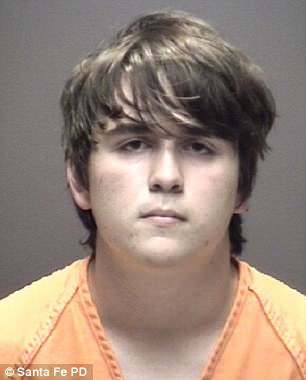 According to charging documents, Pagourtzis confessed to the shooting and told investigators he had left students he liked alive so he could 'have his story told'. 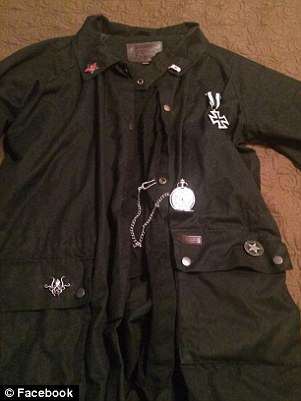 A junior at Santa Fe High, Pagourtzis hid a shotgun and a handgun under his trenchcoat before opening fire in a first-period art class on Friday, according to an affidavit filed by police. 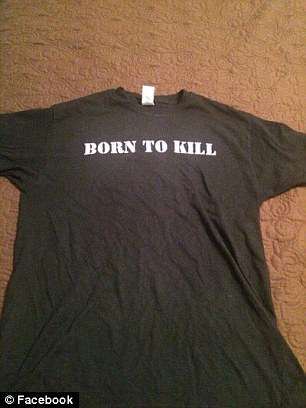 The shooting unfolded over the course of about 30 minutes in a warren of interconnected classrooms, according to new witness accounts. 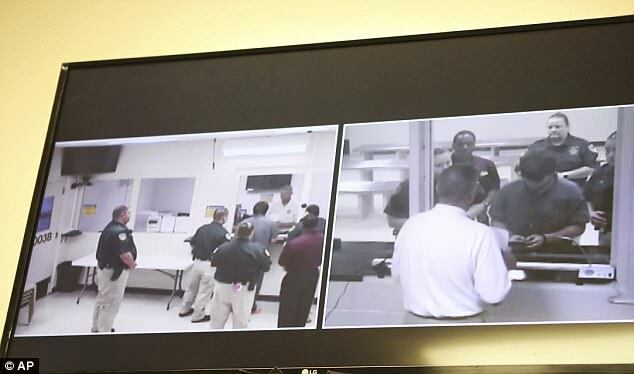 Witnesses said the ordeal began with a shotgun blast through an art classroom door, shattering a glass pane and sending panicked students to the entryway to block him from getting inside, witnesses said. 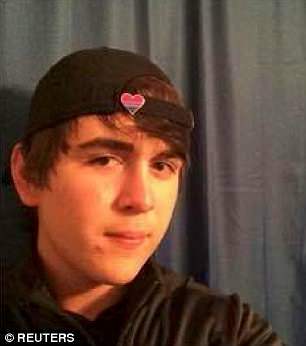 The 17-year-old Pagourtzis walked in, pointed at one person and declared, 'I'm going to kill you.' Then he fired. 'He then said that if the rest of us moved, he was going to shoot us,' Quintanilla said. 'He missed me,' she said. 'But it went ahead and ricocheted and hit me in my right leg.' She was treated at a hospital and spoke with a brown bandage wrapped around her wound. 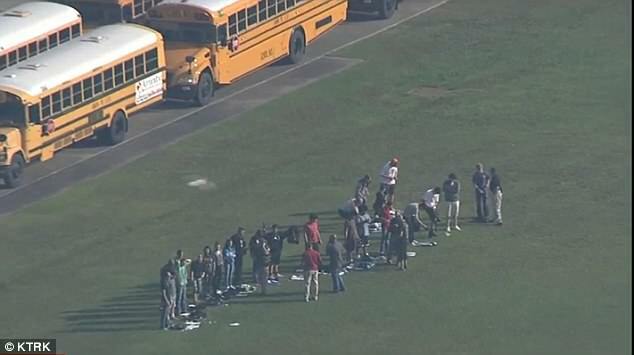 Witnesses said a teacher who heard the shooting pulled the school's fire alarm to alert the student body. In a sickening new account, mother Deedra Van Ness says her daughter Isabelle hid while the shooter left the art classroom, then reentered to taunt the victims. 'The gunman then comes back into their room and they hear him saying....are you dead? Then more shots are fired,' she wrote in an essay. Isabelle survived by lying motionless for half an hour on the floor of a barricaded closet next to the bodies of her deceased classmates, her mother said. 'By this time, cell phones all over the classroom are ringing and he's taunting the kids in the closet asking them....do you think it's for you? do you want to come answer it? 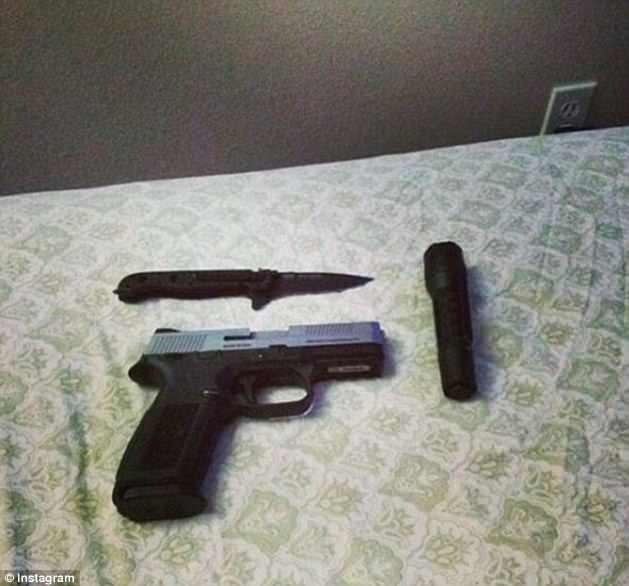 Then he proceeds to fire more bullets into the closet and tries to get in,' the mother wrote. 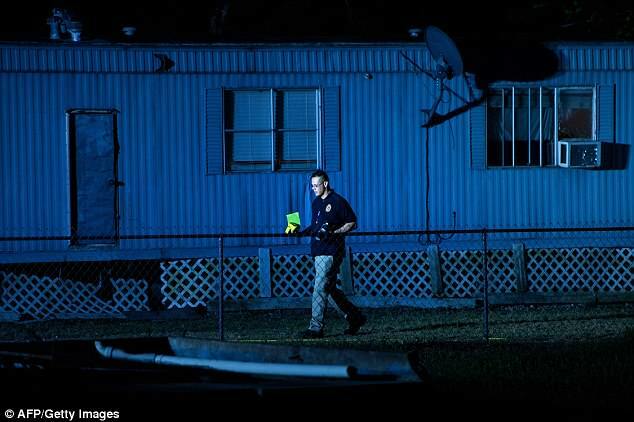 Finally, cops arrived and rescued Isabelle and her classmates - though not all of them survived. And the reaction from some of Isabelle's friends was not what she would have expected. 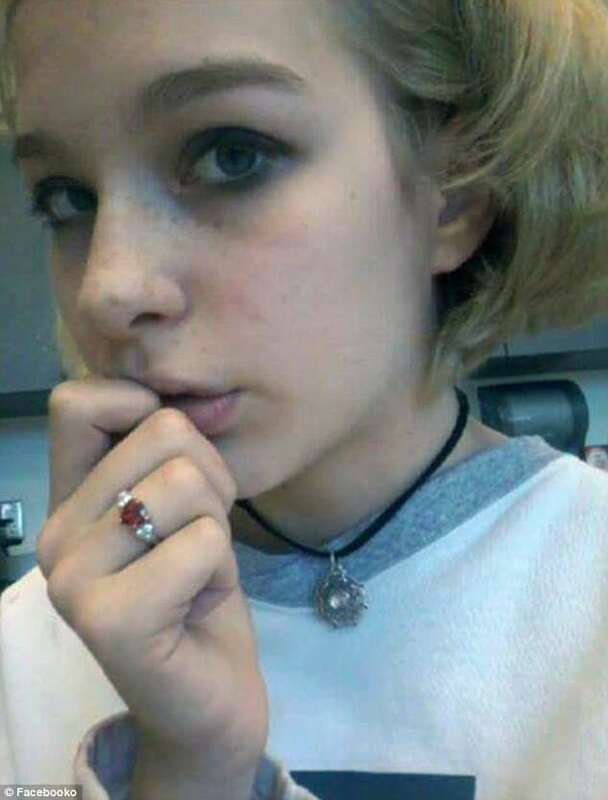 'Unbelievably, other students are bullying her on social media. Blaming her for not trying to do more to save her classmates, calling her a liar about what happened, etc,' Van Ness wrote. Pagourtzis had planned to kill himself, officials said, but instead collapsed in cowardly fear when confronted by police. 'He sort of fell to the ground and surrendered,' said Rep. Michael McCaul (R-Texas), head of the House Homeland Security Committee. 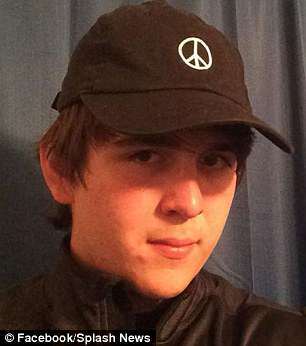 Investigators who reviewed Pagourtzis's computer and cellphone found evidence the teen had been planning to kill himself after the shooting. In a statement through their lawyer, Pagourtzis' family said they had no warning of the tragedy and were cooperating with authorities. 'We are as shocked and confused as anyone else by these events that occurred. We are gratified by the public comments made by other Santa Fe High School students that show Dimitri as we know him: a smart, quiet, sweet boy,' the family said. Pagourtzis is now being held without bond on charges of capital murder and aggravated assault of a public servant. He barely spoke during the brief court appearance on Friday evening, except to request a court-appointed lawyer. Yeah, it had absolutely nothing to do with being bullied by students *and* COACHES. i see they are trying a different script out here. Bullying appears to be the common denominator. Gun violence? How 'bout Prozac violence...Way too much credence is given to gun control as a solution. The bigger problem is the vast amount of children labeled with some type of disorder and then given powerful psychotropic drugs (SSRI's) to combat those disorders. Guns have always been available and will continue to be available far into the future as there are so many even if banned outright. Finding a different solution to drugging our children for an attention disorder ought to be top on the list. Most, if not all, of the mass shooters have been on doctor prescribed meds of one type or another. The school system is way too quick to put unruly kids on drugs rather than try other methods like changes in diet or god forbid...discipline. The first question they should be asking (but never do) is what prescribed meds is he on.